INU -What began in Mashhad on December 28th of last year was initially a protest over the deteriorating economic conditions in Iran and the increased prices of basic necessities. It quickly escalated into an uprising against the Islamic Republic itself, that raged through some 140 cities in the county. The Iranian people were incited when President Hassan Rouhani’s financial budget plan was leaked. It indicated higher fuel prices in attempts to lower government debt, and came on top of rising unemployment for young people, currently at 40%. This, along with poor domestic economic conditions, sparked anger at Iran’s foreign policy, which has spent billions of dollars of investments in the Middle East, including the supply of weapons and fighters to Syria, as well as financial support to Lebanese Shiite group, Hezbollah. Despite Rouhani’s promise that the signing the nuclear deal with world powers would bolster economic growth, this growth has been far from inclusive. After sanctions were lifted, ordinary Iranians saw little benefit, and Tehran is still struggling from a lack of investment. 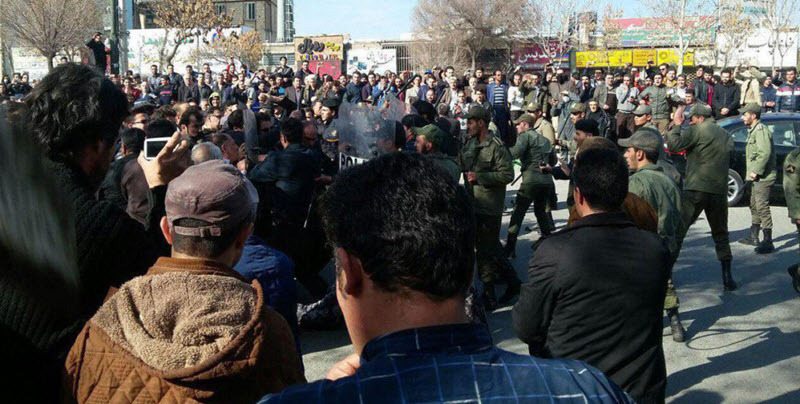 In response to that uprising and the continuing protests that have followed, the Tehran Prosecutor, Abbas Jafari Dolat Abadi, announced that inviting and taking part in riots and sedition was a crime that carries heavy penalties. “Recently, some of these people’s supporters said that participating in demonstrations was not a crime. Who has said this? The law says that taking part in riots and inviting people to riot is a crime and carries a very heavy penalty. Therefore, those who claim that participating in demonstrations is not a crime have to correct their statement,” he continued. The fires that Abadi referred to were small-scale, contained fires on the streets during the peaceful demonstrations, and were used to counter tear gas.